To promote ease of join, we added public profiles (like organizations, people in popular professions, lecturers, professors, head of organizations, etc. ) based on availability. But, we don't run individual accounts. All the private information like emails or phone numbers of individuals are private by default. All legal brand logos, brand names used in the website are for editorial or comparison purpose only. Infringement is strictly opposed. How to make sub-profile ? How to add friend (connect) with other profile? How to post requirement via poll? 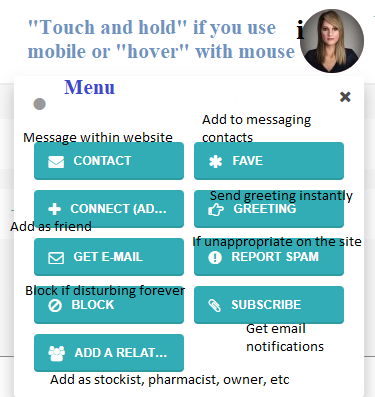 How to add poll or any other item or status message from bottom menu? It can be done by clicking 'facebook connect' or manually by clicking 'join' on Home page. See above video for all details. Secondly, manually create ‘non-individual’ account for your shop (Free for lifetime After account createion, Click "upgrade membership" in your "Account home". Add 'organization' membership by clicking "cart", and 'checkout' ). we recommended you to have above two types of accounts if you are doing any business. You are allowed to change easily from ''individual'' account to ''non-individual'' at any time. For doing this, go to Account home and click profile edit, change your account type to non-individual and full name to your shop name or any other business name or page name etc. Fill other details. Link your 'non-individual’ accounts ('shop account') by filling 'username' of your 'individual' account while creating this account. Becareful or copy paste username for this purpose. Check by login with your 'individual' account. If any problem, contact us. Uses: So it will be easy to login with your individual account and switch to any other sub-account. Important: Do all activities (business related) with your ‘non-individual' account. Search company profiles (click PROFILES in menu) to find companies you are interested. Make a list of companies on a paper that you are currently engaged as stockist and add one after other as stockist in the following way. Search for ‘products’ of various categories (Prescription, otc, natural, etc.) by clicking ‘store’ in menu. Search for ingredients combination or Fixed dose combination. Add your ‘product requirement’ using ‘polls’. Add jobs for pharmacists, representatives, salesmen, etc. Search for “pharmacists nearby” using advanced option in profiles in menu. Create ‘individual’ (for yourself) and ‘non-individual’ (ex. company) accounts. Link your company account while creating it. Check the existence before creating. Note: Representatives join easily and verify the presence or absence of products and add the products if required by contacting us. Students can join and find jobs in pharmaceutical organizations. Researchers or people in academy can connect (become friend) with peers. Add relation with organizations. Add polls (single question at a time) or survey (‘’Form’’ with many questions that may be Multiple choice, Descriptive etc.) for tests, collecting information. Contact us if you face problem, visit help sections.